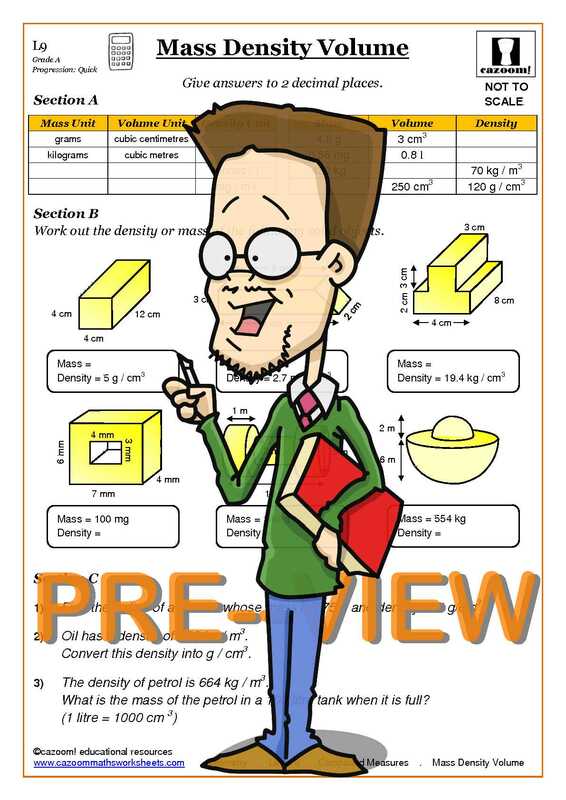 A compound measure is a mathematical or scientific measurement which is used in multiple careers. 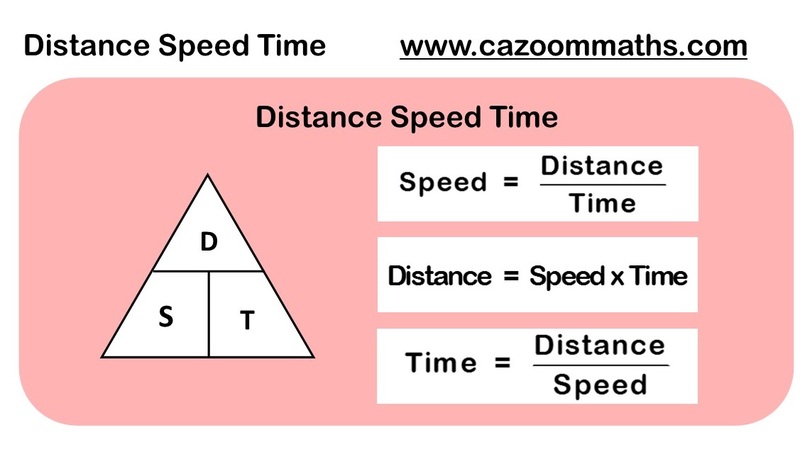 This subject is vital for GCSE students to learn and at Cazoom Maths we have provided you with all the necessary resources so your student or child will be well equipped for their exams. 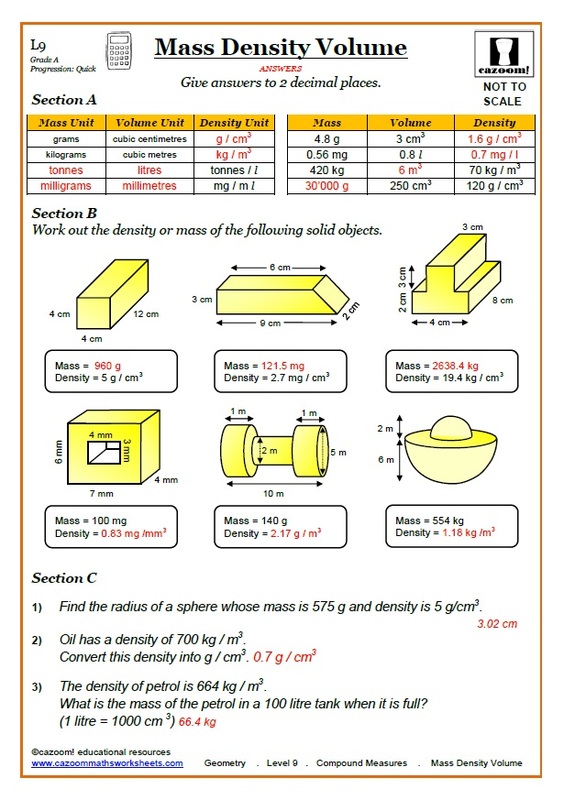 Our compound measures worksheets come with answers and formulas for the student when calculating speed, density and time. 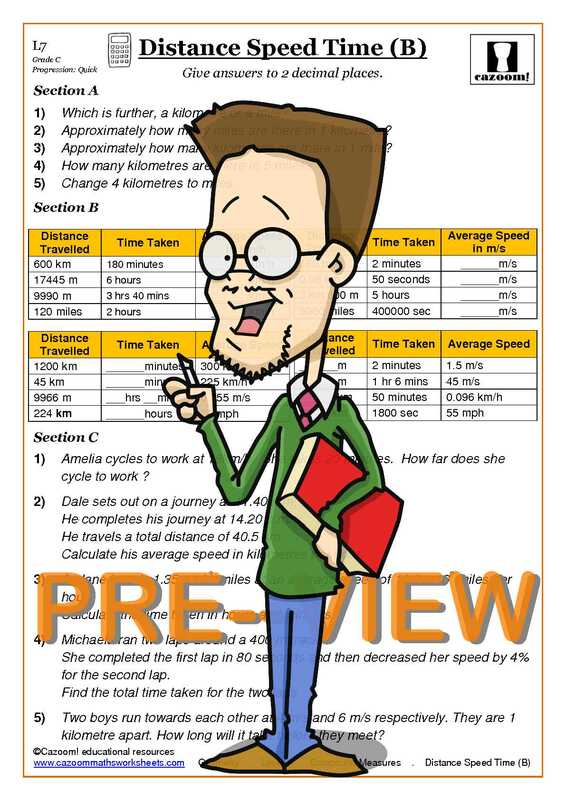 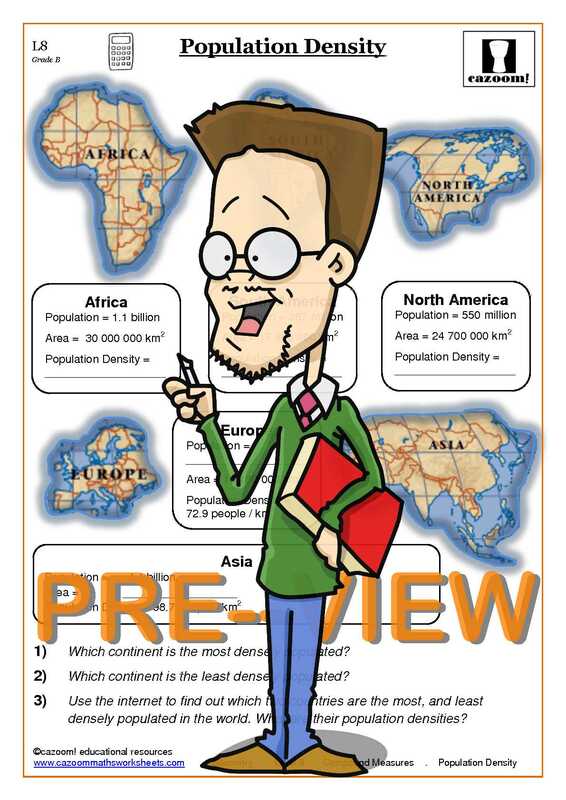 Cazoom Maths caters for all abilities and there will be a worksheet suitable for anybody. 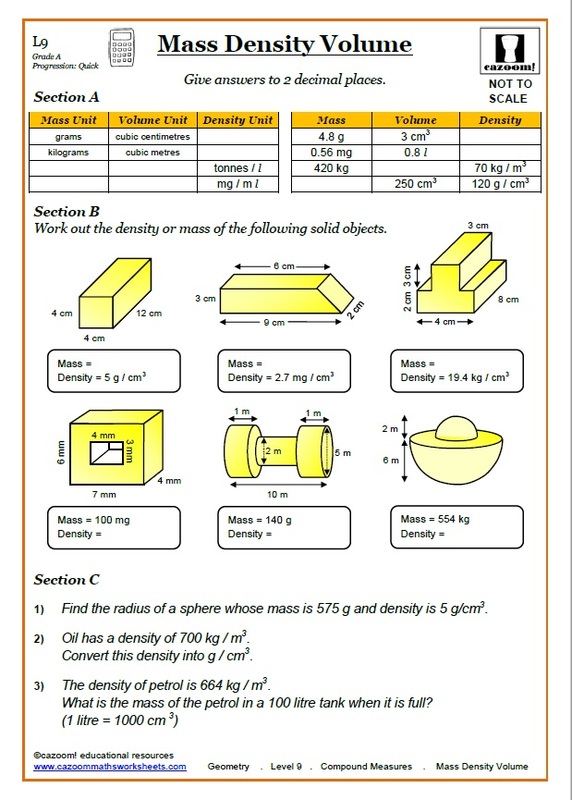 Compound measures are used in various different mathematical and scientific careers therefore it is important for your student or child to learn. 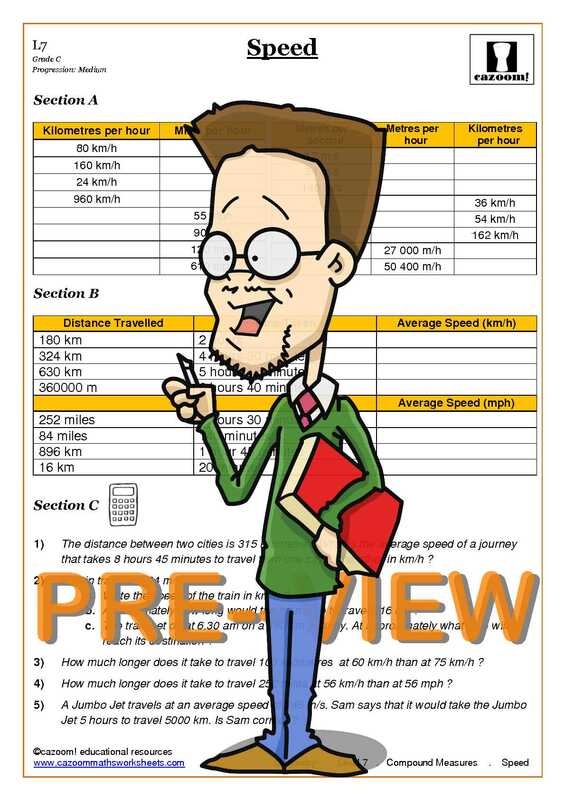 Cazoom Maths have provided a number of different problem worksheets along with the answers and formulas suitable for a abilities.